I wore my heart rate monitor today but set it incorrectly at first, so it was still alarming to remind me I was above my Zone 2 heart rate, I turned it off and missed the first 6 minutes of the WOD. 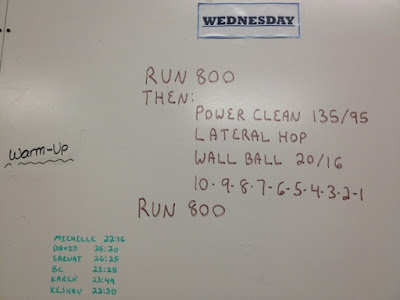 From the graph below, it was obvious that I was working hard during the power cleans and jumps and then came down a bit for the wall balls. As the reps got lower during each round, the spikes up shortened as expected! 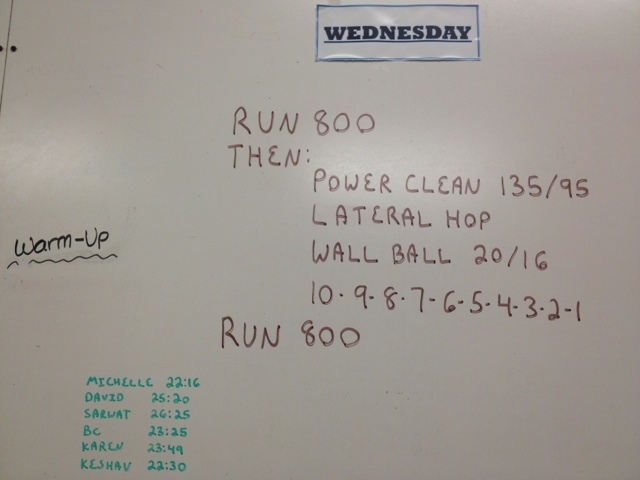 Overall, I averaged 158 bpm and had a max heart rate of 189 bpm during this WOD.